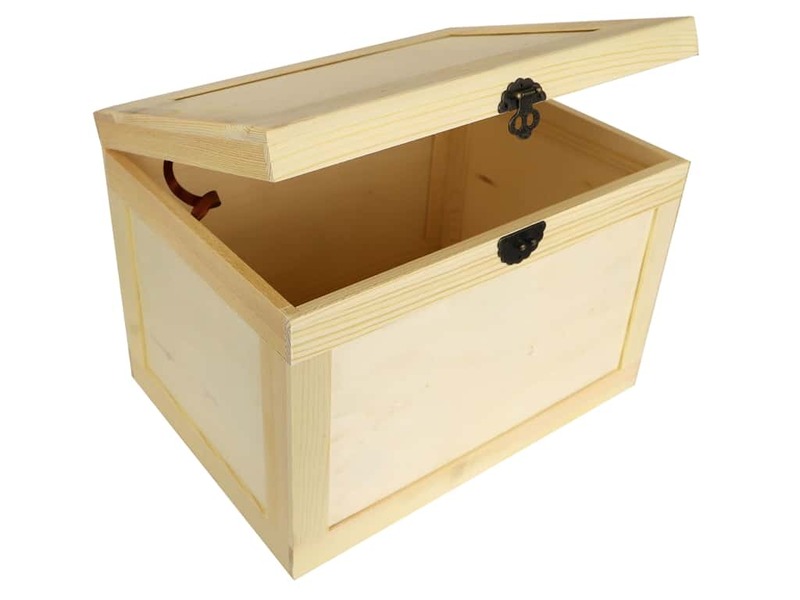 Description: Sierra Pacific Crafts Wood Box Trunk Unfinished 13 in. x 9.5 in. x 9 in. - Unfinished wood box with hinged lid and latch front closure, both in antique brass colored metal. The lid and sides all feature a flat, recessed panel.